Many scholars have seen ancient bucolic poetry as a venue for thinking about texts and textuality. 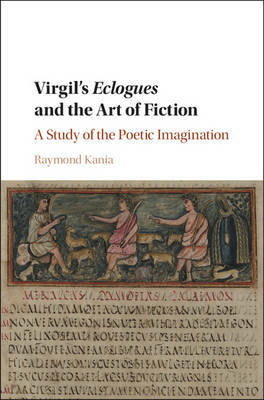 This book reassesses Virgil's Eclogues and their genre, arguing that they are better read as fiction - that is, as a work that refers not merely to itself or to other texts but to a world of its own making. This makes for a rich work of art and an object of legitimate aesthetic and imaginative engagement. Increased attention to the fictionality of Virgilian poetry also complicates and enriches the Eclogues' social and political dimensions. The book offers new interpretations of poems like Eclogues 5 and 9, which, according to traditional allegorical readings, concern Julius Caesar and the confiscation of lands under Octavian, respectively. It shows how the Eclogue world stands in a less stable relation to reality; these poems challenge readers at every turn to reimagine the relationship between fiction and the real.